You may have seen the commercials on TV about Peripheral Artery Disease (PAD). This condition limits your ability to walk because of the pain it causes. One of the best ways to treat it is with a supervised exercise walking program that can help reduce pain and allow people to walk farther and faster. But now there's another solution. A study published in the Journal of the American Heart Association has found that a home-based walking program can work. Past studies believe that supervised exercise was the answer. But this is the first study to find that a home-based program can increase a person's ability to walk further without pain. This study compared 80 walking participants and 87 control participants for 12 months. The walking participants attended weekly meetings that trained them and helped support them in their home-based walking program. After six months, they received phone calls to encourage them to keep walking for an additional six months. The control group attended weekly meetings and received phone calls as well, but these discussions focused on other PAD topics such as managing hypertension, cancer screenings, and vaccinations. In the program, the walking participants were told to attempt to walk a minimum of five days a week, building up to 50 minutes. If their legs hurt, they could rest until the pain disappeared, then begin walking again. After 12 months, the participants were able to walk 381.9 meters in six months, compared to 355.4 at the beginning of the program. The distance of the control group actually fell from 353.1 to 345.6 meters. PAD can be life-threatening since it restricts circulation to the legs, arms, feet, and kidneys. If you have PAD, you also have a higher risk for heart attack and stroke. Walking problems aren't just a normal part of aging. If you have leg pain, weakness, or tingling, it could be PAD. But therapies like a home-based walking program can be effective in combating PAD. 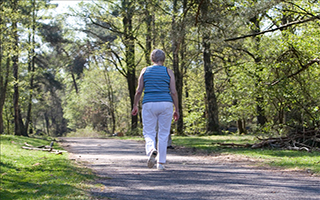 Marty McGrae McDermott, M.D., the lead author of this study, calls walking exercises the most effective for treating PAD. I disagree. While I think exercise is important, McDermott's program may cause a cramping pain in the legs due to a lack of sufficient oxygen. If this happens, there's another solution, which I've talked about for years: Padma Basic. This formula increases circulation and reduces inflammation. We know that inflammation is directly associated with a buildup of plaque in the arteries. Research has proven that this formula is particularly successful in keeping veins and arteries free from plaque. 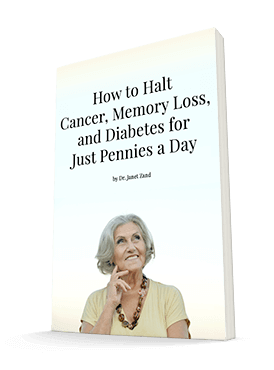 What's more, Padma Basic has dozens of sound scientific studies to back up its effectiveness. Since it can take from four weeks to six months to relieve leg pain, I suggest you use it long enough to give it a chance to work. Mary M. Mcdermott, Jack M. Guralnik, Michael H. Criqui, Luigi Ferrucci, Lihui Zhao, Kiang Liu, Kathryn Domanchuk, Bonnie Spring, Lu Tian, Melina Kibbe, Yihua Liao, Donald Lloyd Jones, and W. Jack Rejeski. Home-Based Walking Exercise in Peripheral Artery Disease: 12-Month Follow-up of the Goals Randomized Trial. Journal of the American Heart Association, May 2014 DOI: 10.1161/JAHA.113.000711.